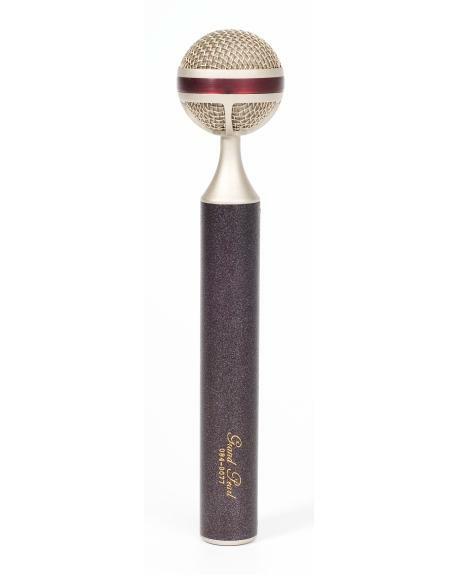 "The Grand Pearl" microphone uses our large size dual diaphragm capsule VD47, designed to provide character of sweet, warm tone known from the most famous vintage vocal microphones. Microphone has unidirectional cardioid polar pattern. GP introduce a new physical design with a rear-ported spherical head and a special narrow tapered form reflector to reduce internal resonances and reflections and optimize the unidirectional cardiod polar pattern. A soft center band around the circumference of the head minimizes shock and handling noise. 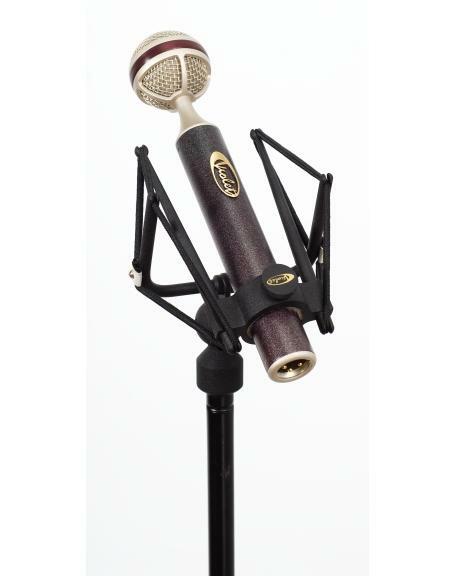 Rugged microphone construction and internal shockmounts effectively reduce stand rumble, outside infrasonic interference and mechanical shocks. The internal phantom powered preamplifier's Class 'A' fully discrete transformerless circuit provides high output, flat audio response and ultra low distortion and noise. The output connectors are gold plated for best possible signal transfer. "The Pearl" is ready for noise-free handheld or stand use. 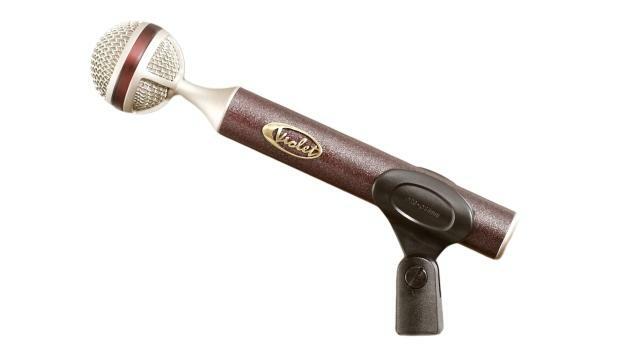 A flexible stand holder is supplied with microphone. FRR is an optional unique reflection ring accessory which is used as a tool to slightly alter directional characteristics and frequency response by positioning at different points along the microphone body.